A-HOTEL.com - Halpa ja Hotellihuoneen The Hyde, Iso-Britannia. Majoituksen varaus The Hyde ja ympäröivä. 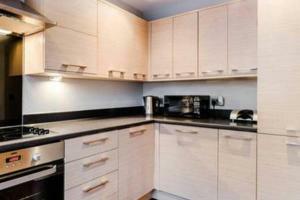 Beautiful 1 bed flat, Colindale is situated in Edgware. The Royal Air Force Museum is within 3 km of the apartment. Lovely 2 Bed Apt well connected to Central London is set in City of London. Guests staying at this apartment have access to a fully equipped kitchen. Located in Edgware in the Greater London region, Colindale 3 bed luxury apartment features a balcony. This property is 1. Set in Hendon in the Greater London region, Hendon Private Studio is a 5-star property featuring free WiFi. Guests staying at this apartment have access to a fully equipped kitchenette. Set 1.5 km from Royal Air Force Museum in Edgware, 4 bedroom modern house in Colindale offers accommodation with a kitchen. Apartment B - Colindale offers accommodation in London, 6 km from Wembley Arena. Guests staying at this apartment have access to a fully equipped kitchen. Complete with a terrace, Aerodrome Road is set in London, 7 km from Wembley Arena and 9 km from Wembley Stadium. Free WiFi is available in the apartment, located 10 km from Alexandra Palace. Situated in Edgware, 1.1 km from Royal Air Force Museum and 6. Boulevard Drive is located in Hendon. This property offers access to free WiFi. Platt Hall offers student hall accommodation in North London, within a 5-minute walk from Colindale Station on the Northern Line, offering easy access to Camden and the city centre. Free WiFi is featured and private parking is available on site. Situated in Edgware, less than 1 km from Royal Air Force Museum, Hendon 2bed Flat offers accommodation with free WiFi and a garden with a children's playground. Each unit features a fully equipped kitchen with a dishwasher, oven, microwave, toaster, fridge and stovetop. Heritage Apartment is located in Hendon. Guests may enjoy free WiFi. London Backpackers tarjoaa majoitusta Lontoossa 15 minuutin päässä Northern Line -metrolinjan varrella sijaitsevasta Camden Townista. Wembley Stadium ja Wembley Arena ovat 20 minuutin bussimatkan päässä. Vain 2 minuutin kävelymatkan päässä Hendon Central -metroasemalta sijaitseva The Hide London tarjoaa asiakkailleen ilmaisen pysäköintimahdollisuuden paikan päällä ja ilmaisen WiFin. Tämä 4 tähden boutique-hotelli on 10 minuutin ajomatkan päässä kuuluisalta Wembleyn stadionilta. Flat 3 Arendale Court is situated in Hendon and offers a garden. The property has garden views and is 13 km from London. Aivan M1-moottoritien vieressä sijaitseva Holiday Inn London tarjoaa ilmaisen edestakaisen bussikuljetuksen Brent Cross -ostoskeskukseen ja Brent Cross -asemalle. Modernissa hotellissa on 24h-vastaanotto ja tyylikäs ravintola. Set in Edgware in the Greater London region, Butterfly court has a balcony and garden views. This apartment is 1.